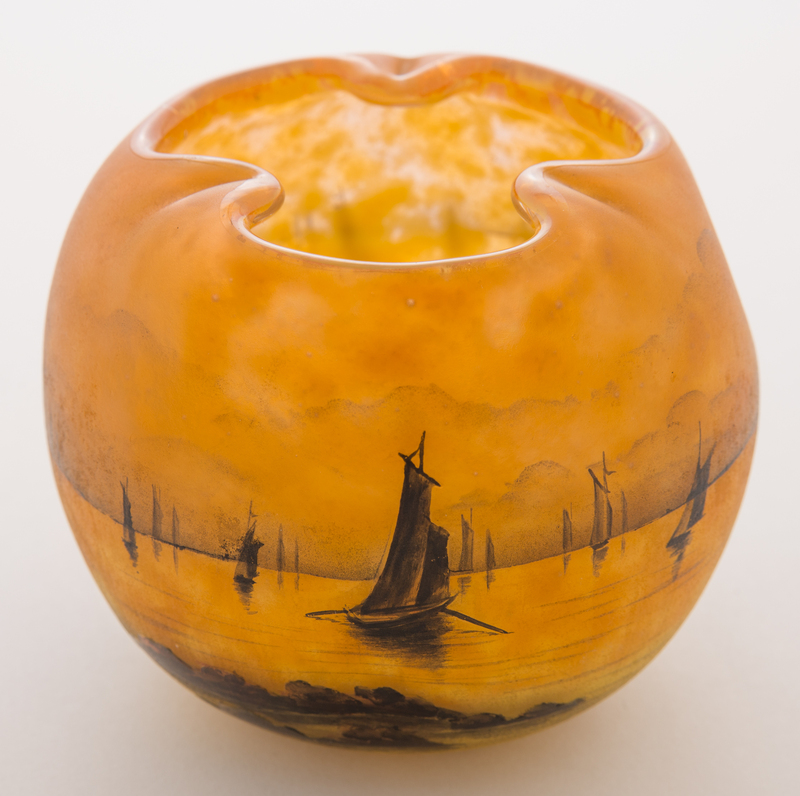 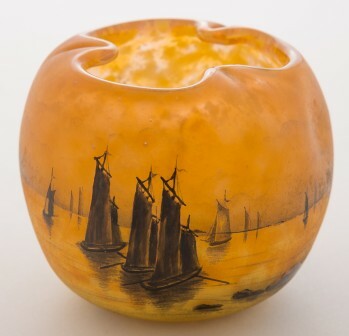 Daum Nancy sailboats cabinet vase in a diminutive spherical form, acid-etched and enameled. 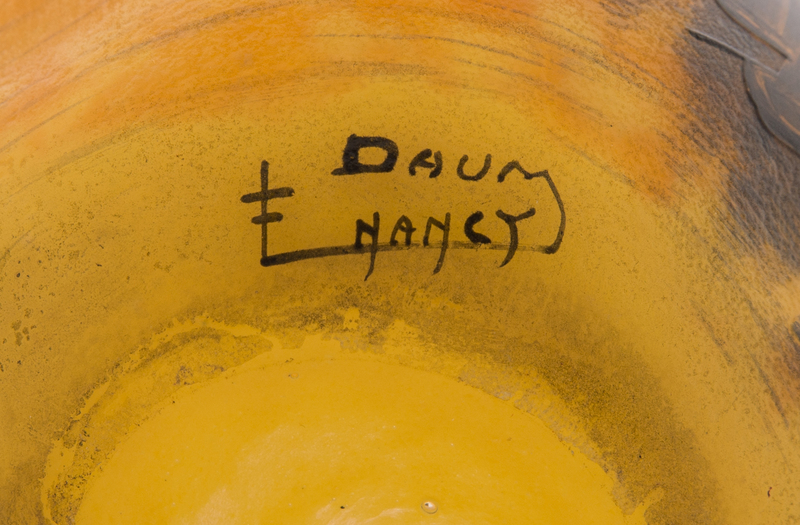 The lip is tooled in a trefoil configuration. 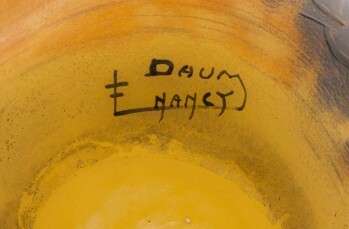 Signed on lower outside base in black script "Daum Nancy" with cross of lorraine. 2.75 inches tall.